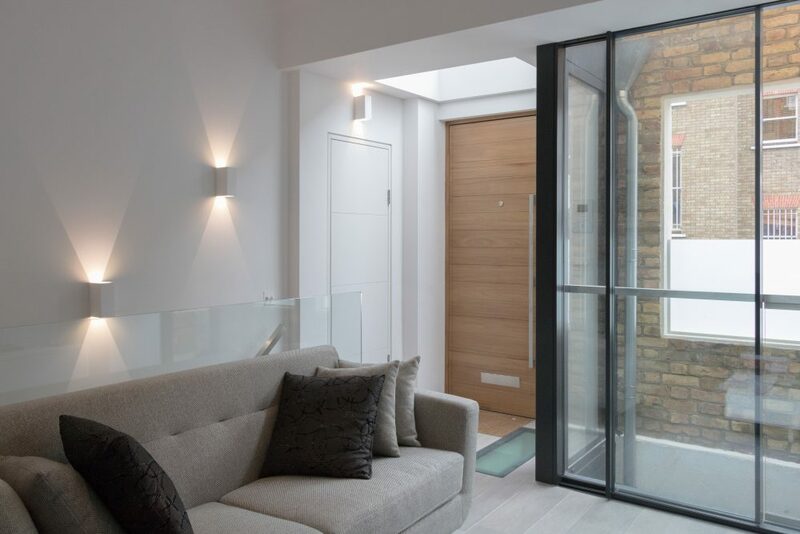 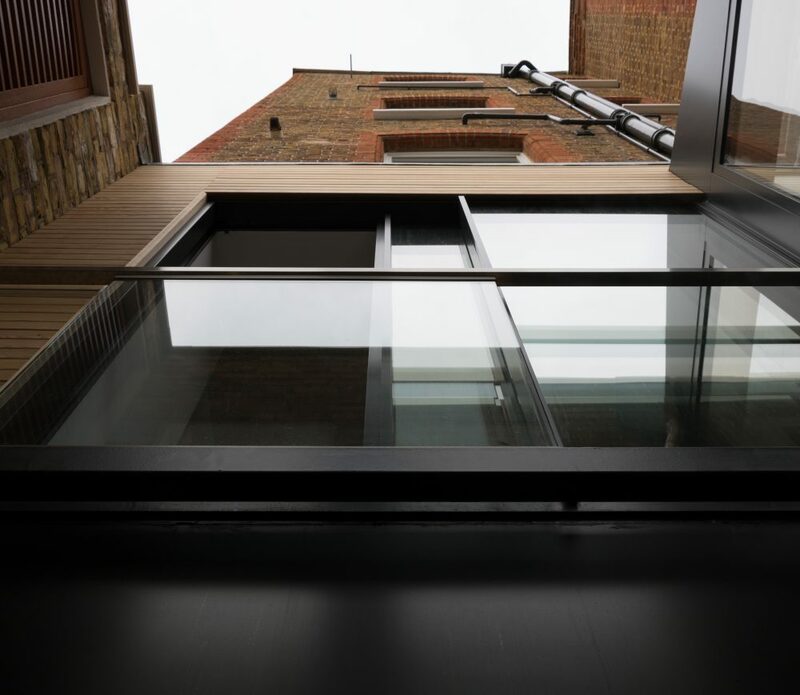 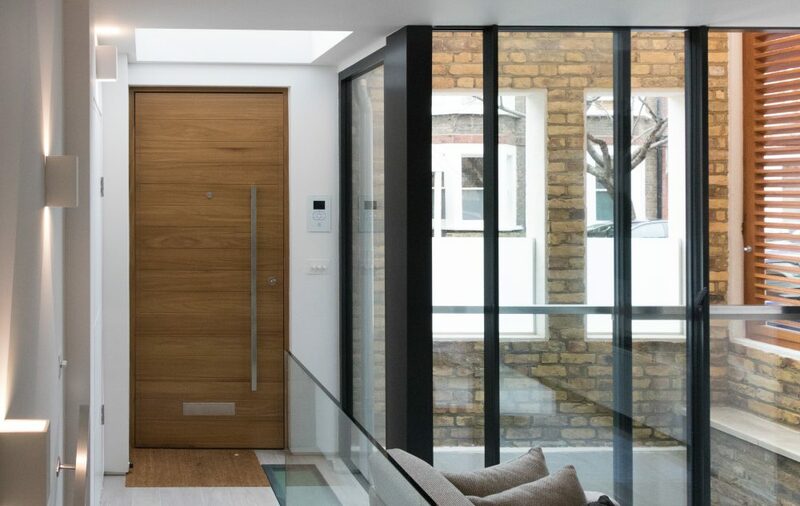 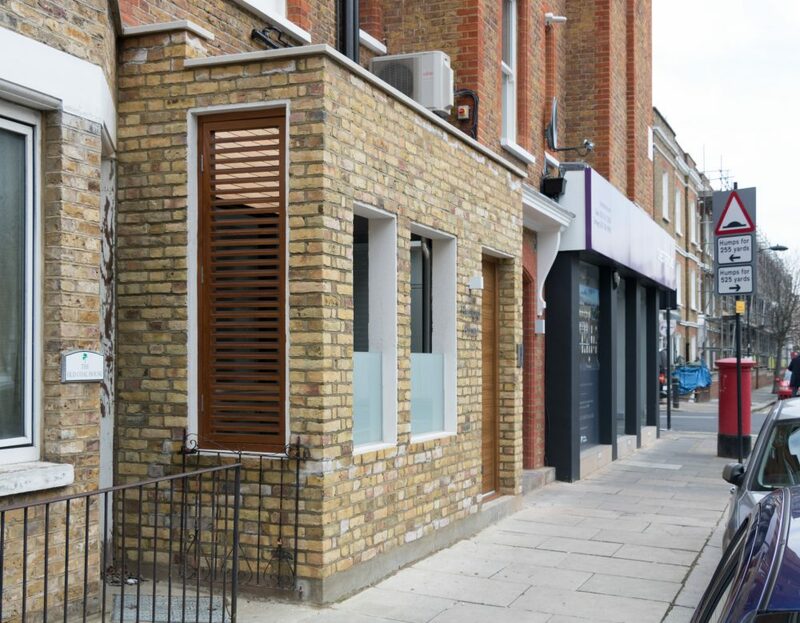 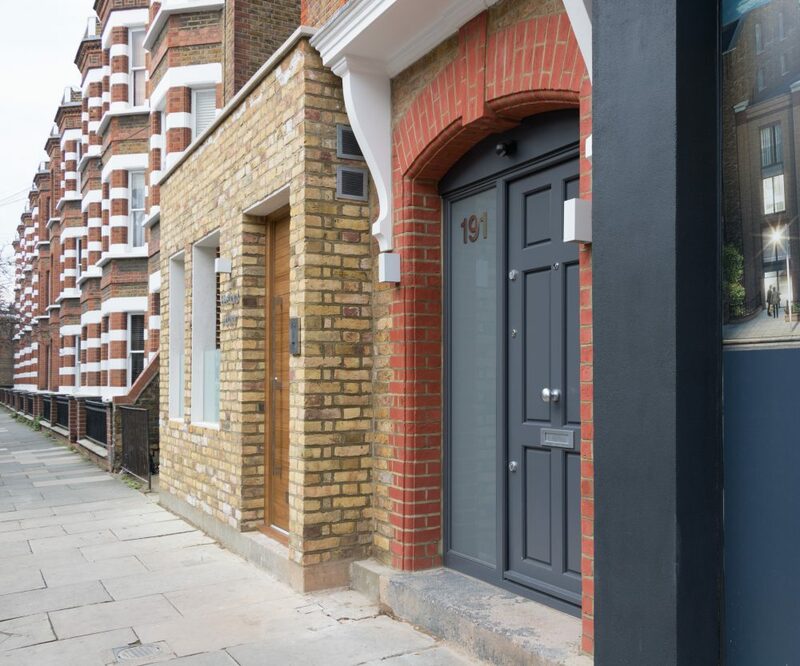 The Hidden Home by AU Architects unlocks the rear of a redundant commercial unit together with providing a basement extension to create an innovative home in a tight urban environment. 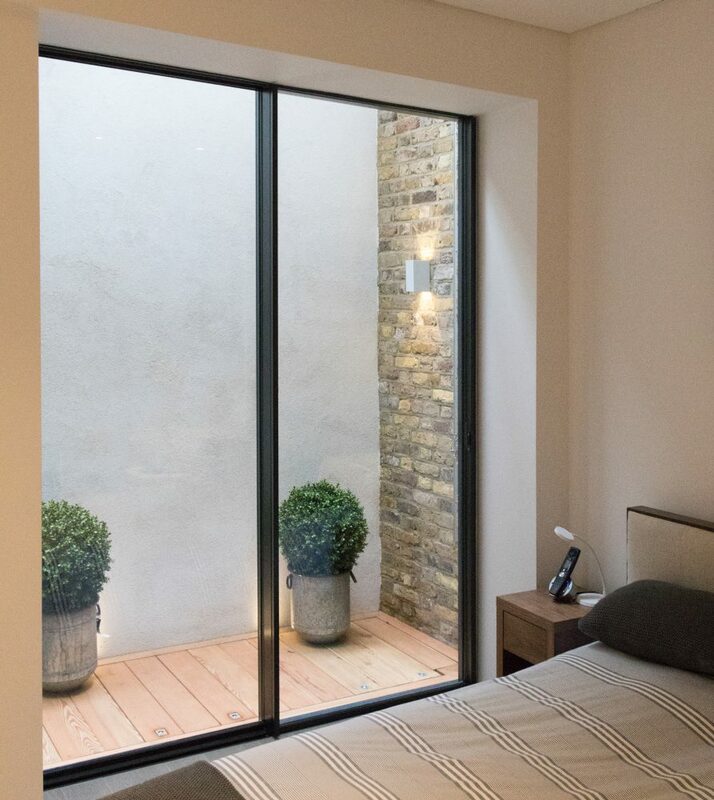 The front wall acts both as a device to provide a barrier to the street as well as a backdrop to the internal light well which provides both light and privacy to the new dwelling. 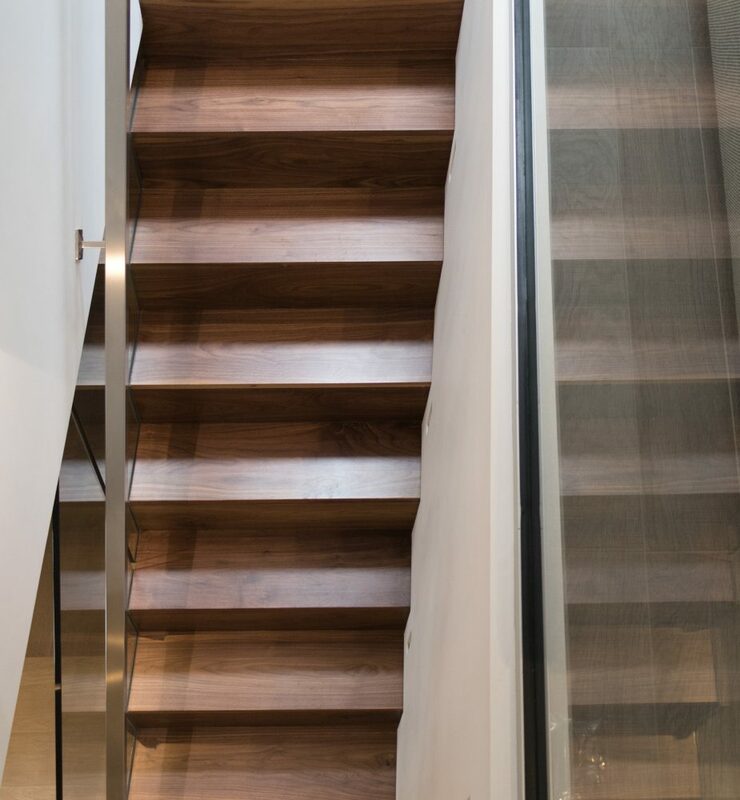 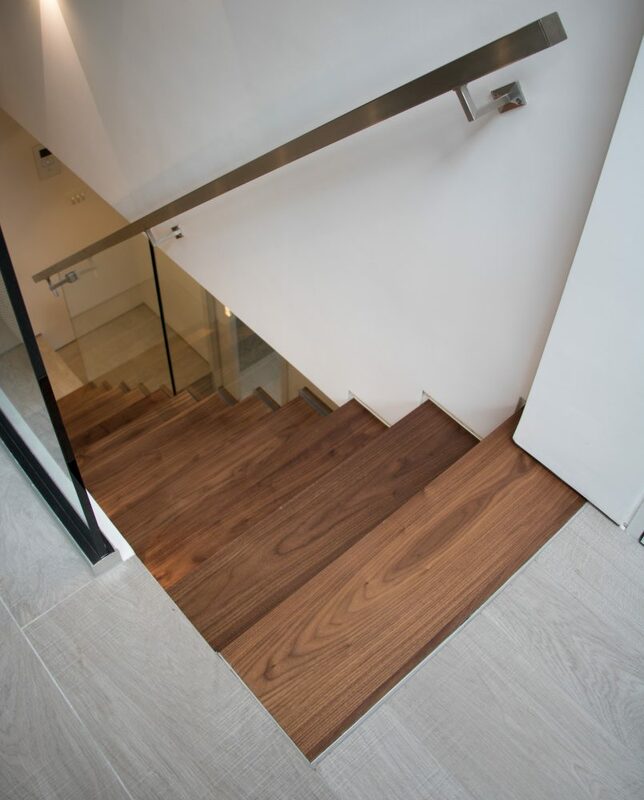 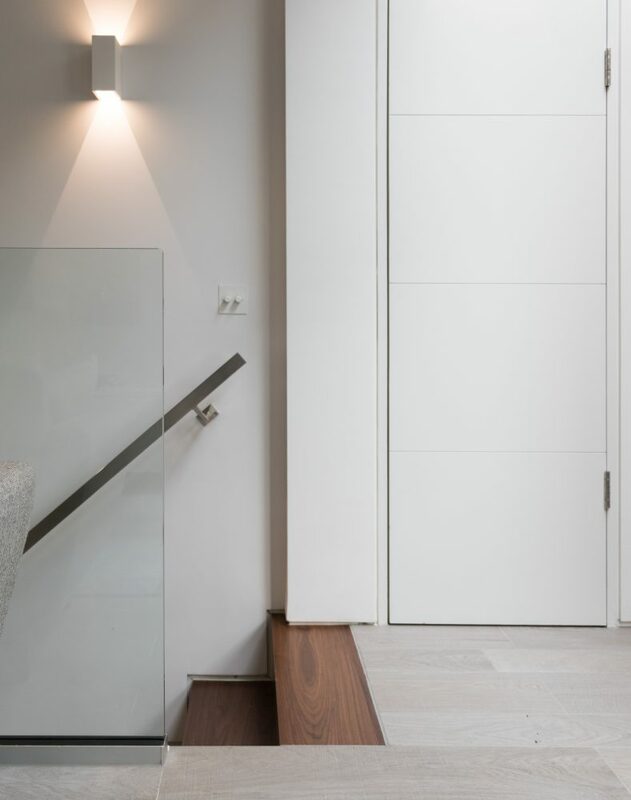 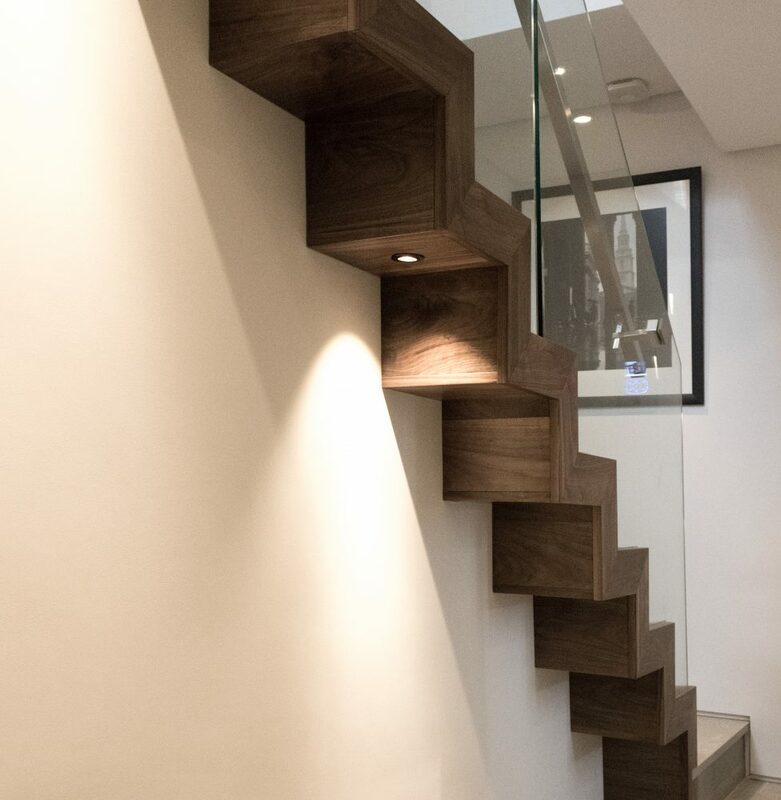 A floating walnut staircase links the two floors together and the internal design maximises light, space and storage.